Mr. Gaille is one of the top business bloggers in the world. Over one million people visit his business blog every month. 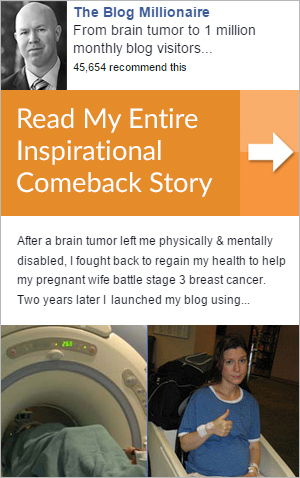 Read his inspirational comeback story, "From Brain Tumor to 1 million visitors."